I've often joked to my more sporty friends that summer is my indoor season here in sunny and humid North Carolina. It's hard for me to get motivated to even open the front door when temperatures are in the upper 90's and 100's as they have been lately. The garden gets super weedy for a couple of months and maybe I gain a pound or two but I'd much rather sit inside in the air-conditioning and sew. And what better to sew up when it's hot than an airy blouse to keep you cool and comfy? This week's giveaway is for your choice of one of Wiksten's two pretty downloadable blouse patterns, either their beginner level Tank pattern or their intermediate level Tova pattern (both of which include dress-length variations). These patterns are sent as downloadable zip files so you don't even have to go out to your mailbox to pick it up. We'll also throw in 3 yards of the Spoonflower fabric of your choice to make it up in. The Spoonflower cotton voile or cotton silk would be perfect for a floaty, lightweight blouse, don't you think? If you'd like a shot at winning this week's giveaway, just leave your comment below or on the corresponding Facebook post and do include your Spoonflower screen name or other means of tracking you down easily in case you're our winner. Entries close next Tuesday, 7/17 and we'll announce a winner on Wednesday, 7/18. Good luck, everyone! This giveaway is now closed and we'll be announcing a winner on the blog shortly. Last week's winner of the quilting notions set was Robin Hadden in Vermont — congratulations, Robin! I think you'd better hide that rotating cutting mat as soon as it arrives, though. It was coveted by quite a few commenters! I would love love love to win this….thanks for the opportunity for such a great give a way…. What a cool giveaway, I’ve been hearing a lot about that tova top lately! Spoonflower name is lkglioness! I would love to win this. I’m trying to work my way into some garment sewing and everyone seems to love the tank. You can find me at fallinstarlight (at) gmail (dot) com. Love the shirt/dress pattern! Wonderful! What a lovely pattern, with all the pattern choices this would be fun to make and wear. I’ve seen both patterns made up and they are great. Not sure which one I’d choose! I think both patterns are great and would love to make them! I’m leaning toward the tunic. There are so many fabrics you have that I love I’ll have to really work on narrowing it down to just one! Thanks for this great giveaway! Great giveaway! I’d love to win! Love the Wiksten patterns. I have the tank, and would love to try Tova! Just love your give aways! I would totally make the second pattern for my great niece and I know the fabric I would choose! Would love to win this one, but picking (just one) fabric would be difficult! Nice! Loving the Tank! Thanks for the opportunity! Love the pattern …so much fabric to choose from! I haven’t tried to make myself a shirt yet, but I would love to try! Thanks for the chance. I have been dreaming about ordering fabric from Spoonflower! What a great giveaway, thanks! lemonadefish certainly needs a new summer shirt! I’d have to flip a coin to choose which one! I’d love to try my hand at the Tova blouse -thank you for such a great giveaway! Either one of these look like great fun! 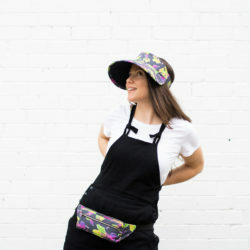 I’ve been eying Jenny Gordy’s patterns for so long! Super giveaway. 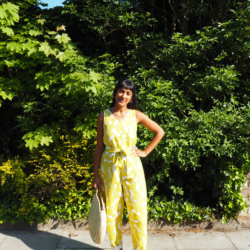 Love both of the patterns…perfect for summer! Such a great giveaway! I just pinned those Wiksten patterns to my Pinterest account this afternoon! I would love to win this one. I’m Moobug, and I’m struggling to type right now. I’m __J and would LOVE to win!!! I think the yard of fabric would be the most fun! What a great give-away. I would love to make the blouse on the left for an upcoming trip to London/Paris with my hubby in September. Our first visit to these romantic cities. I had a baby 5 months ago and am itching to get back in the sewing saddle again! I’m not a great seamstress but I enjoy it. The Tova top is just my style. You’ve got some gorgeous fabrics I’m drooling over a few right now! wow! i have been wanting to use a wiksten pattern for a while…and to have any spoonflower fabric i choose??? amazing………..
seriously…thanks so much for giving us this opportunity! Awesome giveaway! I love the Tova pattern! I’m with you RE: summer… I count the days until the humidity and heat are over and cool, dry weather gets here again (and I’m only in NY–can’t imagine how bad it gets in NC!). I love Jenny’s designs and Spoonflower’s goods… this giveaway is the best of both worlds! I’m in hot hot Chapel Hill…i need those patterns! Thank you for a lovely giveaway…. I just adore these patterns and surely could use them. thank you for the chance to win. Wow, I would love to have that tank pattern! I’m in desperate need of non-t shirts. This would be great. I’ve had my eye on that Wiksten vest top for a while now, would love to win. Wow! A cute pattern AND three yards of fabric! Awesome giveaway! Already know the fabric I’d choose. 🙂 McGinnessButtercups here at Spoonflower. Someone has to win, why not me? 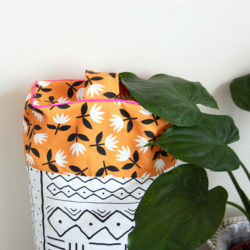 Love Spoonflower fabrics, just right for these patterns! Hope to win. I love to try the tova pattern! I would love to win this! I have been really wanting to buy some fabric on here, but my hubs hasn’t allowed it just yet! 🙂 Thanks for the chance! Which fabric? Which pattern? So many decisions! 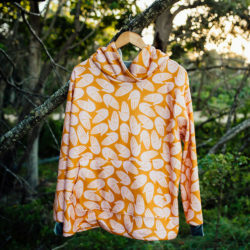 I’ve been meaning to buy the Tova pattern for some time now, so I would love to win this. And there is so much fabric to choose from! We’ve been having some really hot days and I really do need a few new cool tops – thanks for the chance!!! Thanks for the chance the win the great giveaway. Both patterns are great. I’d love to make that tank! klucking(at)fairpoint(dot)net. Thanks! It would be hard to choose. Thanks! I would pull out the sewing machine if I won! I would love to try this pattern with my Spoonflower fabric! Spoonflower name – ModernPrintCraft. Both patterns are darling. I’m more of a quilter but I think I could sew one of these. Thanks so much for a great giveaway and a chance to win. This would be so fun to win! Thanks for the chance! My Spoonflower name is jeremyscarrie. I love Wiksten and I’ve had my eye on the Tova pattern for awhile. I also just placed my first order through Spoonflower so basically this is right up my alley and I’d love to win! My spoonflower account is jennieclaire. I would love to win a pattern and some fabric to make something for myself and my daughter! I would love to win a pattern to add to my collection! Wiksten Tova + fabric = some lucky winner! Fun! I would love to try these patterns! I already have the Tank so I would love the Tova. Thank you! I would love the Tova. I could make a pretty nice Tova with those 3 yards. 🙂 Thank you! What a great give away! I love to give it a try. just getting back into sewing—you all have the BEST fabric!!!! would love to try one of those patterns! Would love to win a pattern and especially some great fabric! Wow, what an awesome prize. Would love love love to win! Making a tank top out of my freaky weird fabric is at the top of this summer’s wish list. Would love that pattern. I’d love tohave a go at the tank. Mmm, nice. It’s not quite as hot and humid here in the Northeast, but I still need a nice cool sundress! I would love a new reason to stay inside and sew! I love the look of both of these patterns! And the fabric, too! Awesome! Thanks for doing this. I would so love to win, pick me! kitlittle is my spoonflower name. Hi there, what a great prize – summer is very hot in Oz so an airy blouse would be cool! Great giveaway!! I love Spoonflower! The tank looks cute and comfy. I’d love to try making one for myself! Oh I would love this!! What an awesome giveaway!! The heat is definitely something I avoid and escape by staying inside and sewing! I’d love to make a comfy shirt instead of wearing pjs all day!! I would love some Spoonflower fabric – thank you for the chance to win! Awesome giveaway! I have the tank pattern and I would love the Tova pattern. Kim! I heartily agree with your philosophy regarding the summer months in the South! My favorite season in East TN is Winter, if you can call it that! I love the colder months. My philosophy is, “You can only take off so much clothing in the summer. But, you can always pile on the layers in colder months. Now this would be a really nice summer project as it is very warm here also! this is cool, i would love to win, thanks!! Would love to win this, have been wanting to make these for a while! I have been meaning to get the Wiksten tank for ages. I’m a_titch_in_time on Spoonflower. I would love to win this, i don’t have any fabric choosen yet but i wouldn’t have lot’s of problem choosing one! I would love to make this for my daughter.!! Yes pleassse! I’m imagining the thousands of amazing designs on Spoonflower I can choose three yards from (arrrg. only 3 yards… *thinking… thinking*). I want to win this for my wife who makes cool things with fabric. Thanks for the opportunity. Great competition! I know just the fabric I’d choose too. Wow! Wiksten is such a lovely designer! What a great giveaway. please let it be me, please let it be me!!! I’ve been dying to sew one of these patterns!